« Muslim Mafia, CAIR Undercover Op Join The Dame to Kick Back With David & Chris Gaubatz: Jihad Hunters, Intel Extraordinaire! Indeed, he would be sickened, saddened and probably outraged to witness the co-option of his views by the modern day racists that have seized our government, desecrated his name and trampled our Constitution, perverting his words and using them to achieve their own selfish ends, for Martin Luther King, Jr., too, received the Nobel Peace Prize in 1964. The sad, sad difference between then and now is that HE actually did a lot of work which had a positive influence on the world in order to get HIS prize. The shoddy, the cynical, the cheap have always hovered around fame in this world; the problem is that, these days, they do not hover in the background, but spit in the face of all that is good, stealing the prizes and hogging the spotlight by doing nothing worthwhile or worthy of recognition. So, folks, to listen to a REAL Nobel prize winner, one that earned that recognition, click on the hotlink above. I guarantee you, it’s the Genuine Article, and today, of all days, we should hear the speech of a Genuine prize winner. Tomorrow in Massachusetts, the special election to fill Ted Kennedy’s vacant Senate seat will take place. It appears to be an upset for the DNC controlled, 40 year run. 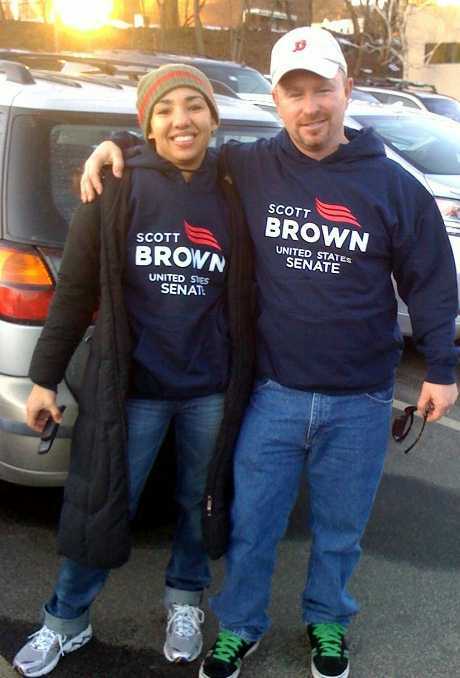 Reports coming in from Boston, Worcester and indeed, all of Massachusetts indicate a huge win for Republican contender, Scott Brown, with people from many states going there to work phone banks, hold signs, attend rallies and canvass door to door. I received a report this morning from someone who attended one of the rallies in Worcester, and tonight’s Dame Truth Radio will be dedicated to Scott Brown’s campaign and the tireless workers who have come to help him win. NYers Work for Brown in Mass! Join us tonight at 8 PM EST for The Dame Truth About The Massachusetts Election!